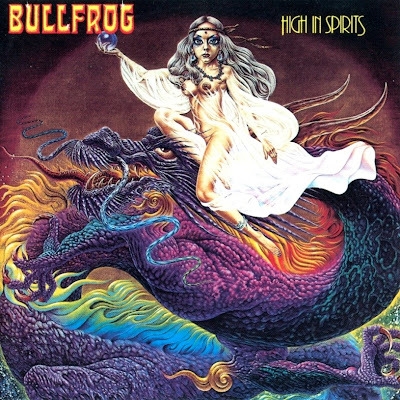 Bullfrog originated from Cologne circa 1976, as the amalgam of musicians from various local bands. Gerd Hoch came from Sound Edge (who also featured Zeus B. Held, later of Birth Control), Vincent Trost had played with The German Four, and Sebastian Leitner was with Lazarus Round. They were unusually a rather heavy-handed hard-rock and melodic progressive on their albums, notable for their unusual Rod Stewart like gravel-voiced vocalist Gerd Hoch, but with little in the way of a distinctive style or originality. Really, they sounded British, not at all Krautrock, and only really of interest to hard-rock fans and Sky label collectors! them out. Only gave it a quick listen so far, but it sounds like something I'll enjoy. commercial . I'll probably be looking to buy this one. Thanks.